The picture on this web page is the first of five planned whistle stops. This is located across from Byrnes High School. The Linear Park was started by Mayor Scott. It will be finished by the Spartanburg County Parks and Recreation Department since the money has already been allocated for the project and they are in charge. 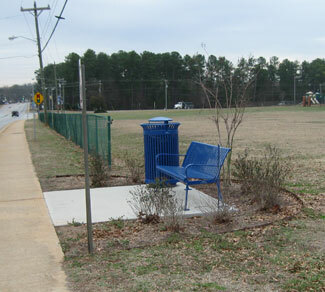 The current status is that all the park benches and trash cans have been purchased and are waiting for the Spartanburg County Parks Department to install them. The permissions for the locations of each whistle stop have been secured so the hold-up is the Spartanburg County Parks department. The last the Town of Duncan was told was that there was some sort of SC Department of Transportation permit that had to be secured. 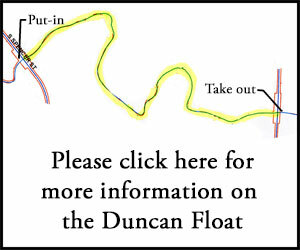 If you would like more information please contact the Duncan Town Administrator Cam Fant. He will probably give you the contact at the Spartanburg County Parks and recreation Department and encourage you to contact them.